About 200 former military conscripts demonstrated on Monday in downtown Algiers calling for greater pensions and benefits after taking part in the fight against the Islamist insurgency the 1990s. The conscripts said Monday they were never properly compensated for their years of service in the bloody battles that claimed an estimated 200,000 lives. 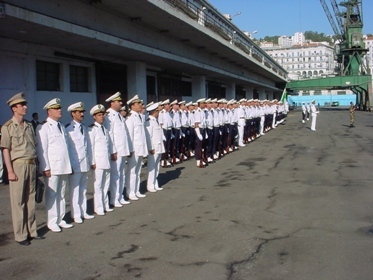 All Algerian males have required military service and many of these conscripts were thrown into the brunt of the fighting against Islamists militants alongside the better paid professional soldiers. The former conscripts, some hobbling on crutches from old war wounds, had previously attempted to demonstrate in front of the Defense Ministry itself, but were dispersed by police. As part of a general amnesty to end the decade of bloodletting, the government instituted an amnesty for former militants and programs to reinsert them into everyday life after years in the wilderness. The protesters said they weren’t against the political reconciliation program but felt that as victims of the “national tragedy,” the Algerian name for the years of fighting, they deserved some compensation, including a lifelong pension and state health care. The protests come against a backdrop of political ferment in Algeria as many people have called for greater democracy and the president has promised to reform the constitution and electoral laws. Like the rest of the Middle East, Algeria has seen over the past six months popular protests calling for reform, though not on the scale of such countries as Tunisia and Egypt.